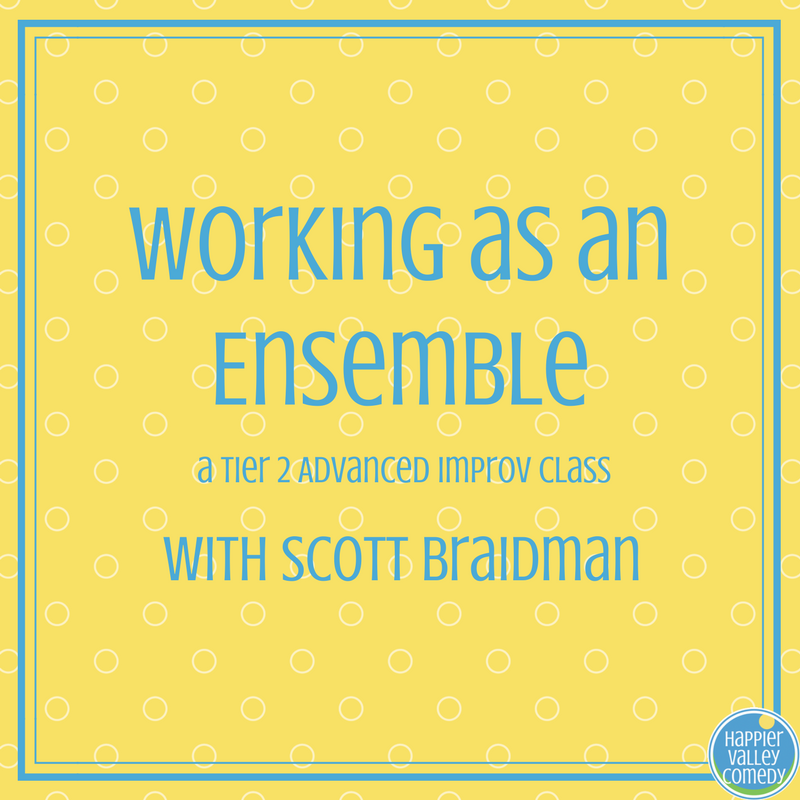 Learn what it takes to be part of a performing group with this Tier 2 Advanced Improv class. Sharpen your skills in listening, supporting, leading and following. We'll practice putting scenes together with a focus on the timing and execution of edits and making moves that benefit the current scene and the piece as a whole. By the end of the class, we'll be finding connections between themes and characters to weave our scenes together into popular longform structures. This class is a great preparation for any Tier 3 format classes like Harold, Exploring Longform Structures, and Deconstructing True Stories!